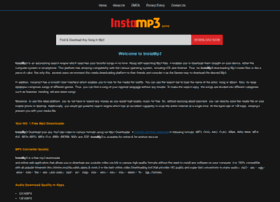 InstaMp3 is a mp3 music search engine from where you can download your favorite songs in hd quality. Instamp3 Mp3 Download. Hosting company: Global Layer B.V.